Watch any well-oiled emergency room team or infantry squad and you’ll see that as individuals, they seem to operate independently, yet in cohesion with one another. The best teams float above the stress of their immediate challenges because everyone knows his or her role on the team, and they know the man standing next to them has their job covered. Time and time again, I’ve seen examples of novice leaders trying to micromanage their team, but a leader cannot be everywhere at once; that’s what a team is for! In the emergency room, there is simply no time for a leader to dictate to each team member what they should be doing. What a leader should do is be sure that prior to the chaos of the ER, each of his subordinates knows what his or her role will be when a patient comes in with a heart attack, for example. On a battlefield, a commander ensures his or her vision is clearly communicated and received by the unit, so that they are always focused on the overarching goals toward which the entire group is striving. When you are expecting tough challenges ahead, it’s important to pick team members and employees that you trust to be competent and oriented toward your intent. Because a leader can’t be everywhere at once, he or she will need to rely on subordinates to be leaders themselves. Although the common perception of the military is as an absolutely regimented, completely hierarchical organization where everyone follows the orders of a handful of leaders, this perception is far from the truth. Militaries have long understood the necessity of having capable, independent leaders at every level of the organization. Discouraging personal initiative in your team members is a mistake. Furthermore, the adage, “two minds are better than one,” can improve a team’s performance immensely. 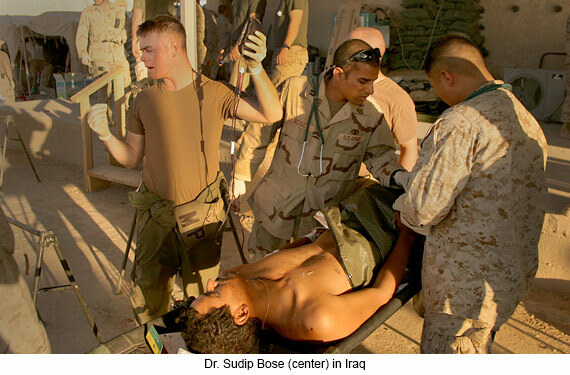 I spent a lot of time training combat medics during my time in the Army. Even though I was teaching them, I always encouraged them to teach me as well if there was something they knew better than I. There were times where we had so many field casualties that I could not possibly be with them all, but I knew that elsewhere, my medics were taking charge and doing a fantastic job. This principle will unlock the full potential of your teams. Not only will you have a greater pool of creativity and ingenuity available to you, but you will foster an environment of mutual respect within your organization, and your teammates will rightly perceive themselves as valuable members of the team. One of the toughest things for a group to do is to acknowledge its own weaknesses and mistakes, even though it is the only way for the team to grow stronger. Pointing out areas for improvement can often feel like singling out one or two people, and this is one major reason why it can be so difficult to improve as a team. Nevertheless, research shows that the best teams are those in which its individuals are able to tell each other when and where they may have screwed up, and suggest how to improve for next time. This requires a delicate balance of honesty and compassion. No one should feel like they’re being blamed for failure, so it’s important for team members to give and take advice as suggestions to improve the team’s system, not as personal attacks against their individual performances. As important as it is to give advice in a constructive and caring manner, everyone should be willing to seriously consider criticism instead of brushing it off or minimizing it. The end of every military operation includes extensive “After Action Reviews” where this kind of careful performance analysis happens. Many important medical lessons have been learned from combat medics observing how their techniques worked, and how they didn’t work. There will never be one ideal way to lead all groups of people. Depending on the cards you’ve been dealt (your team, the nature of your objectives, the nature of your obstacles, etc.) and yourself as a person, you may have to use your position in different ways. Sometimes it means inspiring your team by reminding them of the important ends they are working toward. Other times it means offering concrete rewards for getting a job done. Sometimes it means joining your team right in the thick of battle, so that they see you are with them when the stakes are highest. But other times it means accepting that your role is best served from a position where you can reliably monitor your team and the challenges you must collectively face. The ambiguity of what leadership techniques are most suitable can paralyze a leader who is not prepared to adjust to changing situations and who is not able to accept some unknowns and imperfections. The most important lesson I’ve learned is to remain flexible and adaptable. The best leaders I’ve met are constantly assessing their situation so that they understand how their team can best be directed in that moment.